Place the strips of bacon on a parchment lined sheet pan and place in a cold oven. Turn oven on to 350 degrees and bake for 30 minutes or until golden brown and crispy. Remove from oven, drain on paper towel, and chop. Place the artichoke hearts, spinach, mayonnaise, all three cheeses, garlic and onion in a large bowl. Beat with an electric mixer until everything is combined. 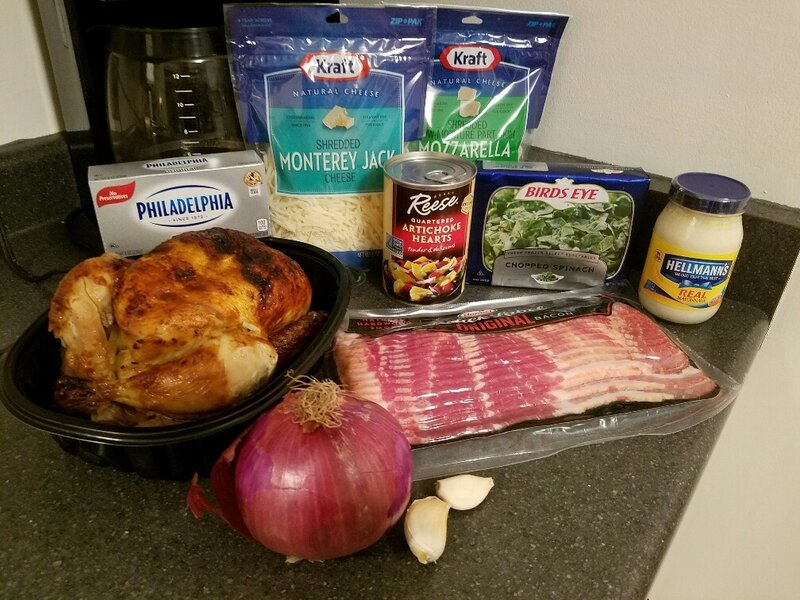 Fold in the chopped bacon and chicken. Divide the filling among all 90 of the phyllo cups. They will be FULL! 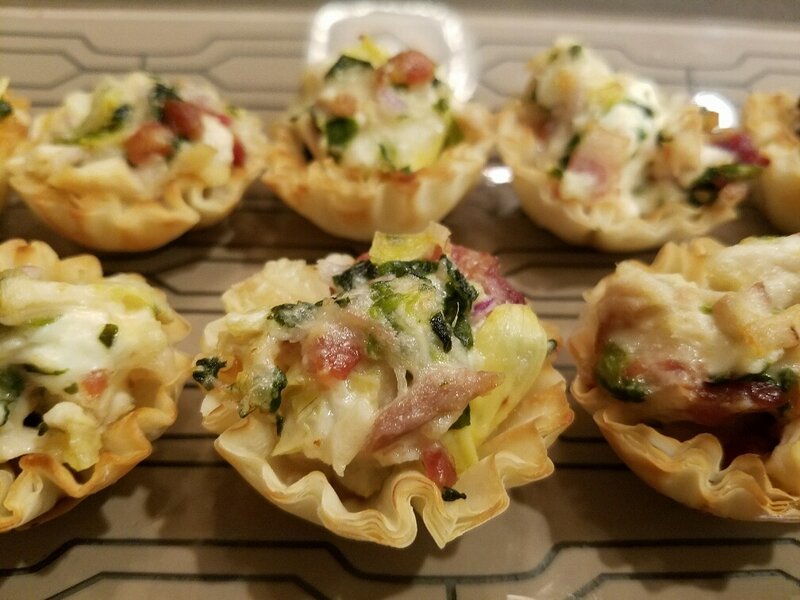 Place the phyllo cups on a baking sheet and bake at 350 degrees for 8-10 minutes or until the filling is hot and the phyllo cups are light golden brown and crisp.